People ask me now and then WHY I have three cellphones. I try not to bother explaining any more but I still do. One major reason is or was that each carrier or device or os could present interesting new things only available there. One of these areas is and was apps made for work productivity. I think the most prominent I remember was an ATT app for this end. Blackberry or Nokia did similar things but generally speaking as of past few years nobody cared about work to care about “apps” that focused on work. Well, that was Liberal America. Conservatives think differently and our Great political system gives us choice of party A or party A under two different names. Since Liberals are not here naturally the OTHER be in but it just happens America has a third and hidden party known as Special Interest also known as Thieves Parry of recent that operates from inside these two phony parties and hides in there. However since neither can serve its ends, the Thieves took over and now the world of WORK won’t be dominated by what makes Liberal or Conservatives look good. We have a new ideology for work. Instead of elaborating on how Thief mindset changes the workplace, we just point out there are still people in this country whom “work.” And low downloads of Samsung Focus proves how few of them exist. They are last of their kind. Liberals required being hip, cool and spending all you got as MUST for “workers” and Conservatives are basically dead to have opinions. Conservative side has “old people” which is very unacceptable for this country to acknowledge as people hence Conservatives and what think of “work” are out. Looking at work apps such as Samsung Focus which doesn’t work on my Tab A 10.1 with a Pen S running Android 6.0.1 by the way, we have to consider Generation Y as what is left of Liberal Workers and the Thief Class. Thieves are a class running things and dividing spoils and helping each other. Everyone else is below them. Think of history of Democracy to understand the Thieving Ideology. The City of Athens had 40000 free persons aka citizens aka Thieves and 300000 slaves. Slaves were literally slaves and ran everything from industry to military etc in this Great democratic city. Free people had nothing to do and another thing we inherit from them is Liberal Arts which was topics of study only for free people because they had NOTHING to do being so FREE. America and work are going there. Generation Y doesn’t care about work app because of what they think of work. The leftover population don’t count because some are old so they are not people and who cares what they think of work but Greatness has returned to America under Thiefman Donald Trump and his appointed Recognized Thieves as our Government. Work apps need to redefine themselves under this system of Thief overlords and the rest. That is the future. I set up Samsung Focus on my Galaxy Note 5 because doesn’t run on my Tab A 10.1 with Pen S which by the way is my idea of a Note 7 in absence of a Note 7. Something gets the work done if no Note phones around and my Note 5 has dedicated functions and cannot be all things to all users as myself for work, life, play, etc. I think Focus is a great tool. I admit it went wrong from step one. Add “work email?” You cannot. That is only available at work. That is another mark of our “work culture.” It stopped right there. 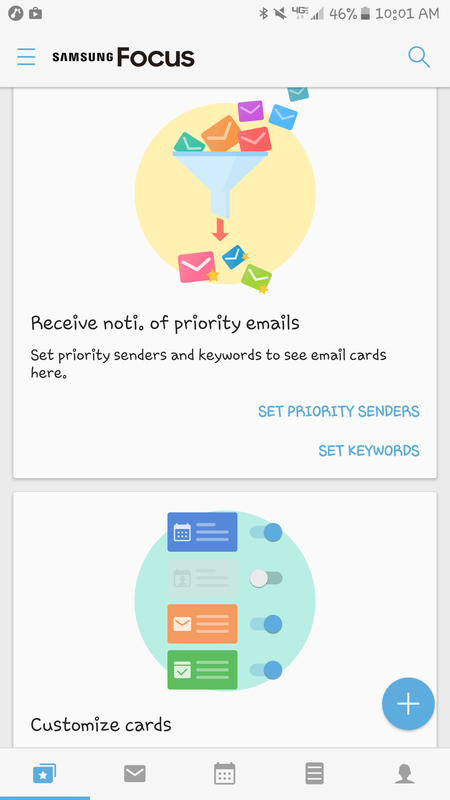 Personal email is in and Focus is focusing on personal stuff. How ironic! But that is Liberal “work” culture which puts personal stuff before work and in place of it too! It is interesting to be one of the first persons to try an app (5th?) 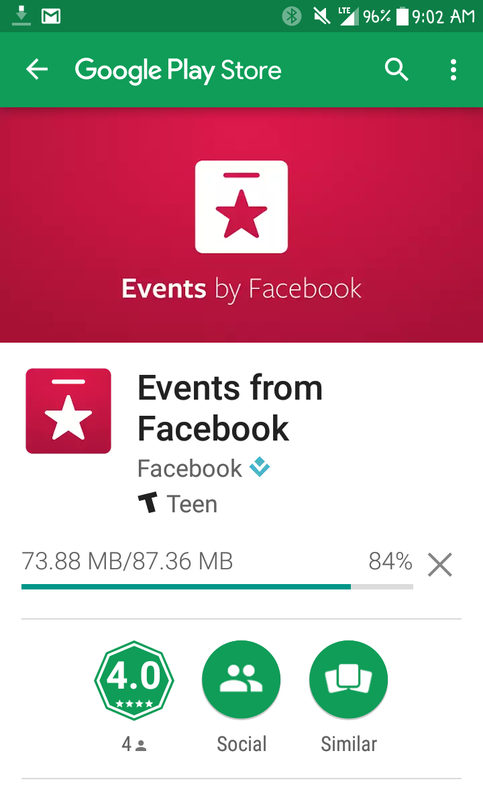 but 87MB is too much for these dumb apps. Thanks to the new Right Wing government Elite is “in” again and just in time I was declared Elite by a retail store. I am good for 12 months. Free shipping and all. I am so grateful to live in a Right Wing country. I hear Fascists and Nazi governments are even “Greater.” I am humble. 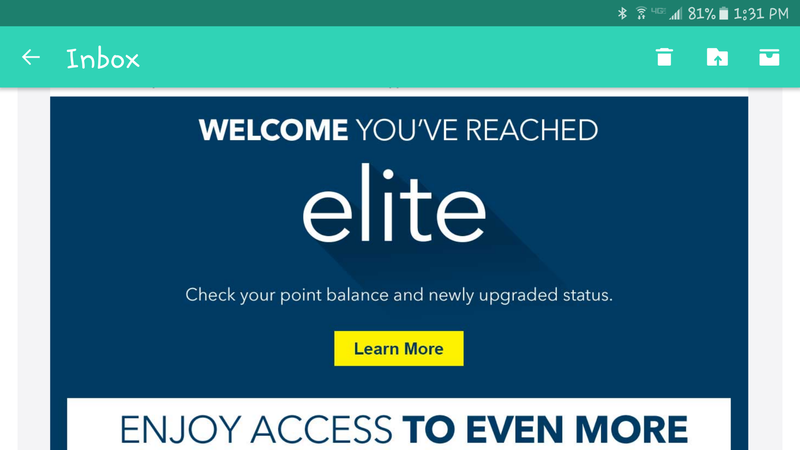 I settle for Elite status under Mr T. There is an Elite Plus too but need to spend more money. Personally PayPal has a better deal. I can get $50 worth of points if I be good. And who said “conformity” does NOT pay. That is all it does. It PAYS. I wonder if I get to Elite Plus that be equal to experiencing life as a favored person under a Nazi or Fascist Government? Can it be that good? Mr T been good to me. And don’t forget we want those extra tax refunds of several hundreds when Republicans are in office and find “mistakes” and pay America back. I promise when rebellion time comes you be given a chance for your efforts. Then again of this country HAS any law and order the Right Wing be out soon and Left Wing means back to coupons and shopping points! I am redeeming points to gift cards. Thanks to Obama and reign of left Wing coupons are good until Right Wing moves in. I have three gift cards for $50, $25 and $25 coming and have $30 in reward points and another $50 gift card. All this shenanigans so I can get a Samsung Galaxy Tab A 10.1 and NOT pay for it? Hey that is how the Left does it. When the Right move in they give me cash to pay. They don’t do coupons. PS. Samsung Galaxy Tab A 10.1 is here too. Unfortunately the $384 may sound a little above the no-S Pen model but after adding up my free Gift Cards and Reward dollars there be a balance of $200 left which is WTF? The Pen model costs twice as much? It is cool though. When the Right Wing takes over they PAY you to get the S Pen model. No worries.